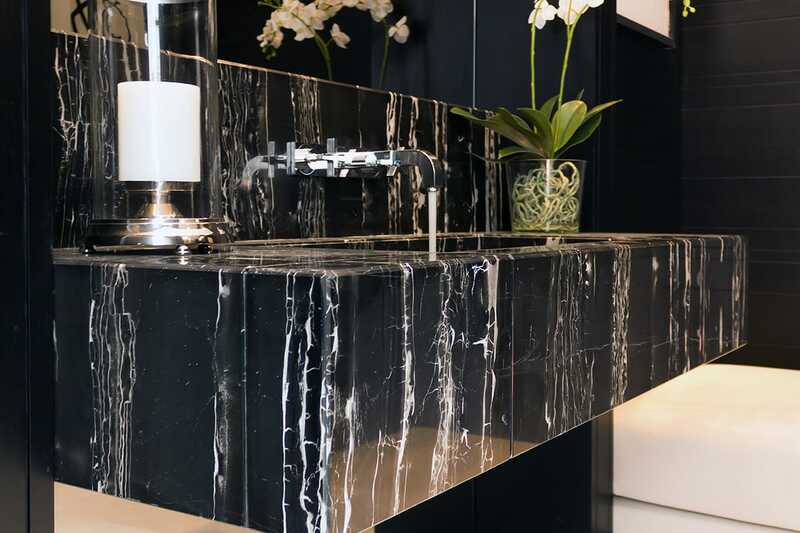 We are currently seeing a rebound in the use of black marble for luxury interiors. This eternal, beautiful and elegant material is today reinterpreted by architects and interior designers throughout the international scene. Black is a color associated with elegance, luxury, and sensuality and owes its halo of distinction to Coco Chanel. The dressmaker changed the stereotypes of her time and opted for simplicity as a symbol of elegance. 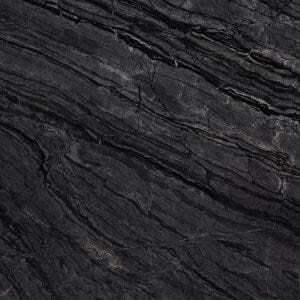 Let’s see how this concept is translated into the use of black marble for luxury interiors. 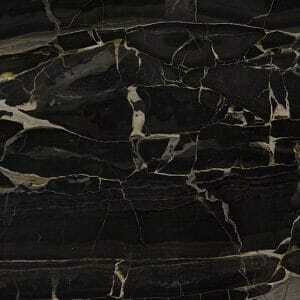 Portoro is a black marble with golden veins. We can see it at the Meliá Palacio de los Duques hotel, in Madrid. This material is known as the most expensive black marble in the world. It is used in the most emblematic projects. 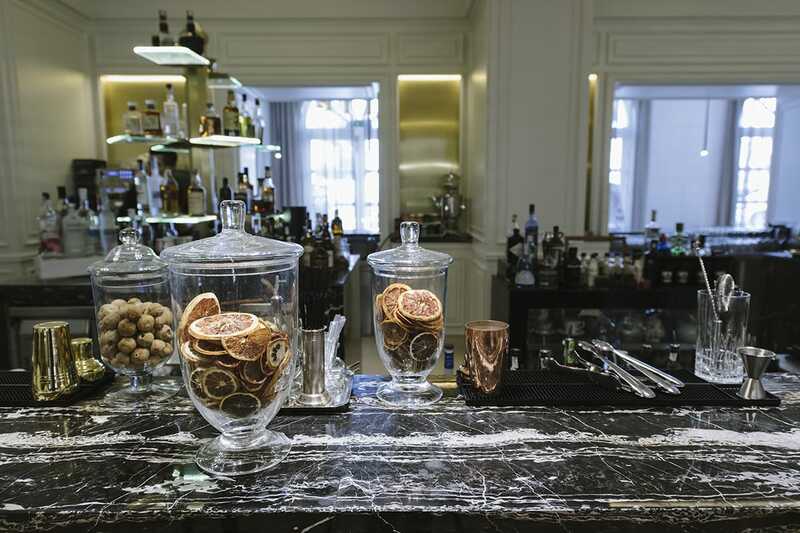 TINO Natural Stone participated with this material in the interiors of the restaurant, bar, lounge, and hall of the building. The image highlights the countertop of one of the bars. Elegantly shaped, it gives a strong personality to the whole environment. 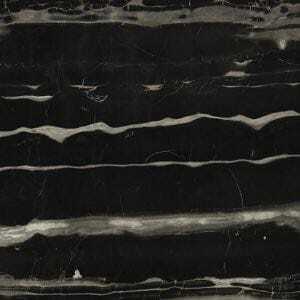 Our product Black Dune is a calcitic black marble with linear white veins. The architects and interior designers who choose this natural stone will be able to play with the verticality or horizontality of the lines, depending on their placement. In the image we see a villa in Marbella where TINO included Black Dune in the bathrooms, giving them a sophisticated but at the same time clean and tidy look. Our stone Blue Violet is a calcite black marble with a high density of white veins. This material suggests the mystery of a natural grotto and has the elegance of a gem. In the picture, we can see a multitude of sinuous, clear lines that sculpt the stone while the whole environment beautifies. TINO participated in this project by adding Blue Violet in a luxurious villa in La Zagaleta (Marbella). 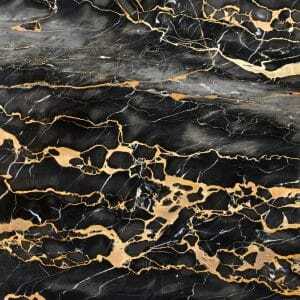 Our natural stone Vulcano is a crystal black marble with golden streaks. Of the four stones we have seen, this is the one with the most passionate connotations. Especially for the intense contrast between the black base and its golden stretch marks. In the image, we see how the great vigor of the veins is able to confer character to the whole space. You can also go to our collection page or to our professional area to learn more. 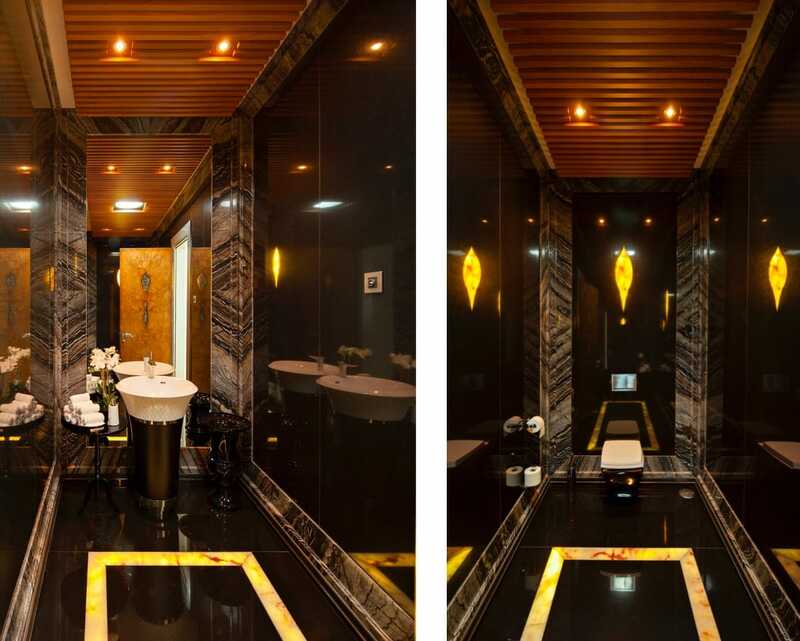 Trust black marble for luxury interiors.